Some think I am big for my breed. I weigh almost 25 pounds, but I'm not fat - I'm big boned. I love delicious food and have eaten such a huge variety of delicious things. I'm not a piggy piggy like many of my friends. I prefer not to rush while I eat. This gives me time to enjoy and taste the foods I love and probably helps with my digestion. I usually have a very small breakfast around 9 AM. It consists of a little meat like chicken or fish, boiled egg, a spoonful of cottage cheese, a spoonful of yogurt and usually some fruit and/or vegetables. I like apples and carrots but have a good variety including pears, pineapple, green beans, sweet potato, or yams. Finally, I'll eat one or two of these giant TD-Diet kibble that are used to clean my teeth. Sometimes, I get a fish oil pill and I have to take Dasuquin every other day, which contains glucosamine and chondroitin. This is to help prevent arthritis. I started taking this supplement after my operation in June 2011 for a torn ACL. This is a sample breakfast that includes grilled salmon, boiled egg, cottage cheese, baby carrot, strawberry, and blueberry. My lunch is typically the same as my breakfast but in a larger quantity and does not include the cottage cheese and yogurt. I really only like to eat that for breakfast. I eat a couple TD-Diet to help clean my teeth after lunch. This doesn't look that good. 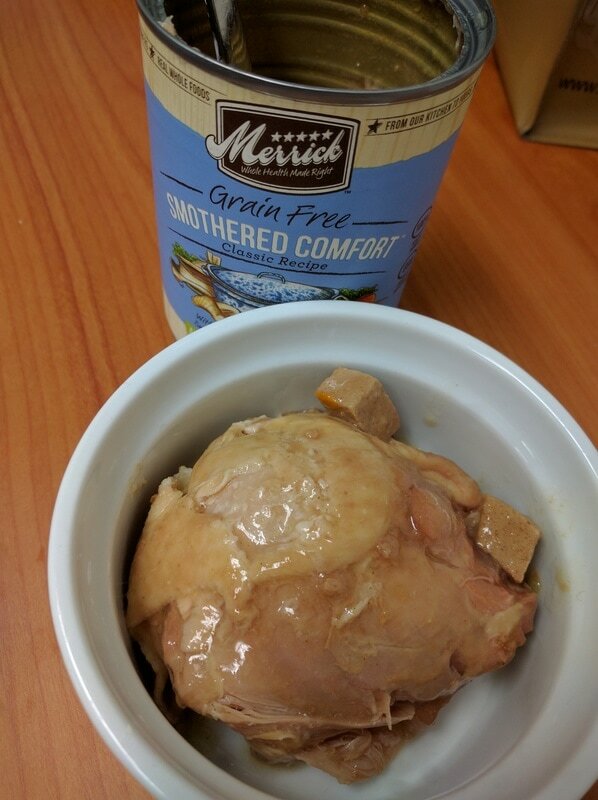 I admit, I love my chicken steamed! It is moist and flavorful. Yum Yum! 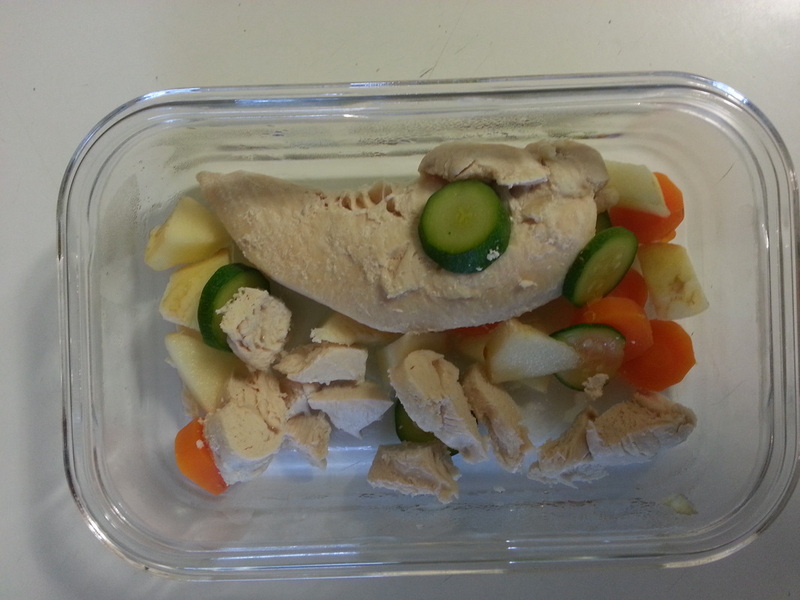 Boiled chicken breast, steamed carrot and zucchini, and delicious apple. Dinners are exciting for me because I don't know what I might get. 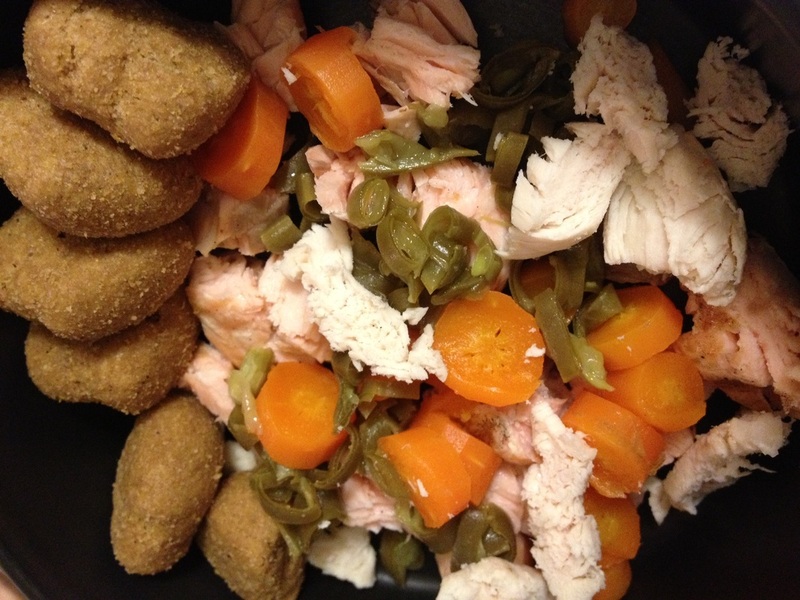 Sometimes it is boiled chicken with rice or grilled salmon. I had some sea bass the other night and it was delicious! I eat 4-6 of the TD Diet after dinner to help with my teeth. It doesn't really help that much and I don't want it to be a major source of my diet. Who doesn't love treats! I love cheese, chicken jerky, tangerine and other treats but I try to eat somewhat healthy. I am never allowed to eat fatty or greasy foods nor am I allowed to eat things that are dangerous for me such as, chocolate, grapes, onions, Here is a list of things I am not allowed to eat. I love yogurt! It's good for my belly. I eat a little bit almost every day. 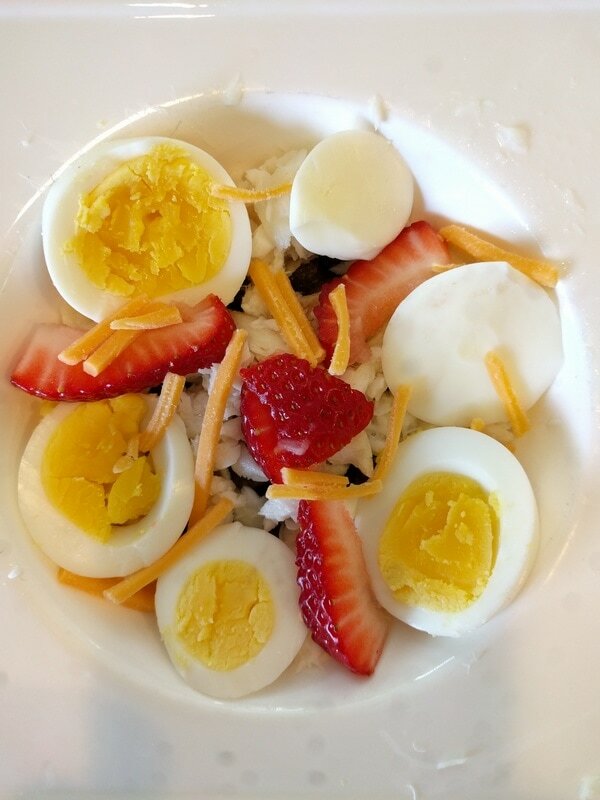 My food varies greatly but I typically eat home cooked meals and now that I am older, I try to eat protein that is easily digestible like egg and fish. I eat a lot of talapia, salmon, tuna, and sardines. Occasionally, I'll eat chicken. Have I mentioned that I LOVE Smothered Comfort? Look at that chicken thigh below! I love all the bones, which are very soft. I also love Wing-a-ling, also from Merrick.